so it will find, in every hour, some divine blessings!" our hearts are conscious of our treasures." I am truly thankful for so many things, including you. Thank you so much for your friendship! 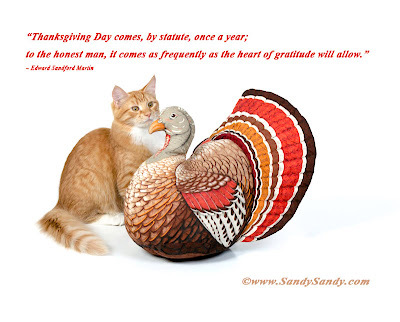 Wishing you a wonderful holiday and a very thankful heart.